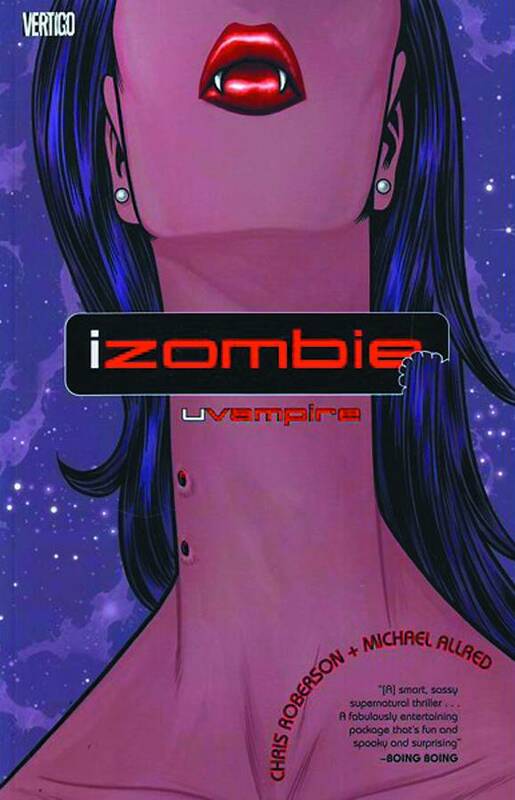 Collects IZOMBIE #6-12 and a story from the HOUSE OF MYSTERY ANNUAL #2. Gwen Dylan dines on the grey matter of a person who knew her as a child - and things quickly get complicated. Meanwhile, ghost-girl Ellie learns a few tricks from Amon the mummy; Spot the were-terrier meets someone from Gwen’s past, Galatea engages in some grave-robbing; and monster-hunters tackle the town’s vampire problem.